When you arrive at our INFINITI Service facility, we’ll have a friendly professional ready to greet you and confirm your arrival with our service team. From there, you’ll be guided to our luxurious waiting lounge complete with snacks, drinks, TV, and free WIFI. We’ll even have someone there to assist you with any of our amenities and provide great conversation (if you so desire) as you wait for your vehicle. If you reserved one of our INFINITI loaners beforehand, then expect your visit to be no longer than 10 minutes in length. We’ll make sure that all of your concerns are met, and that you drive away in a vehicle that’s comparable to yours. We’re committed to your safety and satisfaction. We hold all of our technicians to a high standard, and use only INFINITI factory approved parts, so you can rest assured that the work you paid for was done to factory standards. Why should you service with us? We have a Large fleet of loaner vehicles just in case we need your INFINITI for a longer period of time. Multi-Point Inspection to ensure proper performance and safe operation with every service. Luxury car wash and vacuum with every service. Because no one knows INFINITI’s like a trained certified technician. If you’re in the surrounding Portland, Beaverton, Tigard, Salem, or Hillsboro areas and your INFINITI is in need of some routine maintenance or auto repair, there’s only one place that you should count on. Beaverton INFINITI takes service seriously and our goal is to keep your vehicle on the road and running like new for years to come. Our state-of-the-art INFINITI Service Center located in Portland offers you the most cost-effective and hassle-free auto repair experience you’ll find in the area. Our highly trained experts are there to get you in and out with minimal disruption to your busy day. If you require more in-depth auto repair, we can handle that too. We only use genuine parts at Beaverton INFINITI so you can be sure your car is getting the exact parts it needs. You can order parts easily, or check out our INFINITI Tire Center if you need a new set for your vehicle. Our expert technicians have even put together recommended maintenance schedules you can utilize to ensure that your vehicle gets the care it needs in order to prevent serious damage to your INFINITI down the road. Since the focus at Beaverton INFINITI is always on the customer, we go the extra mile to make sure you are comfortable while you wait for your service to be finished. You can relax and enjoy a massage, a fresh manicure, or even complimentary shoe shining while your INFINITI gets the royal treatment from our technicians. 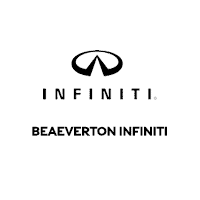 So give Beaverton INFINITI a call today at (503) 451-6209 to get the attention that you and your car deserve!